Supreme Court 2014: Harris v. Quinn forgets the lesson of the New Deal. In attacking unions, the Roberts court forgets a key lesson of the New Deal. Most people don’t associate freedom of speech with a deregulatory economic agenda. But that agenda is an untold story of the Roberts court, and it’s vital to understanding this morning’s decision in Harris v. Quinn. Harris concerns the mandatory “fair share” fees that most unions charge all employees, including nonmembers, to support collective bargaining. These fees prevent free-riding. Unions are required by law to bargain on behalf of members and nonmembers alike, all of whom benefit from collective bargaining. If some employees could simply decline to pay to support collective bargaining, all would have the incentive to similarly opt out, thereby undermining the union and harming all employees. It’s a classic case of the free-rider problem. Today, in Harris, the time bomb that Justice Alito planted in Knox exploded—in part. Alito, citing himself in Knox, refused to apply Abood to the home-care assistants in Harris who don’t want to pay union dues. In one sense, the opinion is narrow. It does not overrule Abood, and it emphasizes the ways in which home-care workers differ from “full fledged public employees” such as teachers or police officers. Public-sector unions will live to fight another day. On the other hand, I agree with Emily that Harris could herald the court someday revisiting Abood’s holding. Justice Alito argues that Abood rests on shaky empirical foundations, misreads precedent, fails to recognize differences between private- and public-sector unions, and gives rise to practical problems. 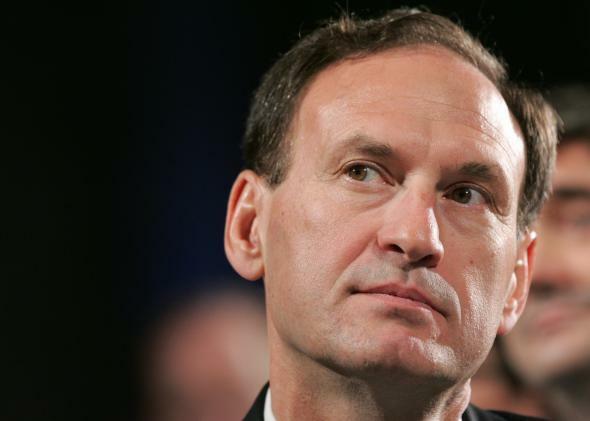 Alito reads as though he wished to overrule Abood but lacked the votes. His denigration of Abood could someday matter, however. Just as Knox portended Harris, Harris could well portend a far broader decision in a future case. Justice Kagan’s dissent persuasively demonstrates the shortcomings of Alito’s reasoning. There is, admittedly, something tempting about Alito’s rejection of making non–union members pay fees. This certainly looks like coerced speech and association. Yet that reasoning ignores two vital points. First, as Kagan noted, the court has long given government more latitude when acting as an employer. Second, a union is not a typical voluntary association that can define its mission as it pleases. To the contrary, the law requires unions to represent the interest of members and nonmembers equally. Having to share in the costs of activities that benefit you because of how and where you’ve chosen to earn your living hasn’t generally been treated as a form of coerced association with those activities or with the ideas they express any more than having to pay taxes constitutes forced association with the views of the government. By employing this sort of reasoning, the court could have turned down the workers in Harris who didn’t want to pay union dues without posing a general threat to freedom of association or freedom from compelled speech. Two cases about compelling agriculture companies to pay for generic advertising (think: “Beef: It’s what’s for dinner”) demonstrate how the court could have found for the union based on the specific context. In those cases, the court rejected First Amendment challenges made by farmers and ranchers forced to pay for generic advertising. Even if those farmers and ranchers disagree with the message of the advertising, or would prefer to transmit that message differently, the court deferred to the “judgment of the majority of market participants, bureaucrats, and legislators who have concluded that such programs are beneficial.” The court could have found similarly in Harris, deferring to the judgment of the majority of legislators (who enacted the Illinois statute that allowed the home-health workers to organize) and the majority of employees (who voted to join a union). Instead, Alito and the conservative majority treated employees who were compelled to pay union fees as if they were being dragooned into involuntary association. This can hardly be described as a natural interpretation of the economic reality, much less the only plausible one. Just as troubling is the relationship between Harris and democratic processes. Many state legislatures have fiercely debated the issues in Harris, and that process would have continued without today’s ruling. By giving a constitutional underpinning to the anti-union “right to work” stance, the court short-circuited that process, retreating from its decades-long practice of giving states broad latitude in making economic policy, including labor policy. Most broadly, Harris is the latest chapter in the troubling story of the Roberts court indulging attenuated constitutional arguments against economic regulation. In Sorrell v. IMS Health, for example, the court invoked the First Amendment in striking down a Vermont state law designed to lower prescription drug prices. It treated the law’s ban on narrowly defined kinds of information sharing between pharmacies and drug companies not as an ordinary economic regulation owed judicial deference, but rather as an abridgement of freedom of speech. Harris, despite its arguably narrow holding and apparent restraint, is thus part of a dangerous trend of veiling deregulatory economics in constitutional law. The Roberts court seems to be forgetting one of the principal lessons of constitutionalism since the New Deal: Economic policy should be made by legislatures, not courts. Harris is the Roberts court’s most recent retreat from that long-standing and wise consensus. It would do well to retreat no further.